An office move is something many business owners look forward to, that is, until the moving date creeps closer and closer. The to-do list can seem to go on and on. If you want to reduce the stress of moving so you can actually look forward to the change and enjoy the moment, take these moving principles into account. Plain and simple, moving your business is very different than carrying out a household move. To ensure that the move runs smoothly, it's important that you hire an experienced moving company that has proper techniques and equipment necessary to conduct a commercial move rather than a moving company that infrequently performs office moves. 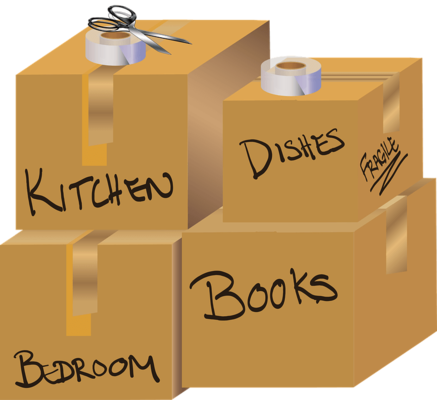 All Jersey Moving and Storage has expertise in this specialized type of moving. Our moving teams have access to the resources and special training required to get the job done, and do it right, whether we're moving boxes, technological equipment or systems furniture. We have the proper blankets, shrink-wrap, dollies, masonite, carts, corrugated wrap, and door jamb protectors that keep your goods safe throughout the move. When you select a reputable moving company, you can rest assured that your furniture and other valuable items are in good hands. What's more, you can save yourself and your staff from sustaining less-than-pleasant back and knee injuries that often arise with inexperienced movers. Another important reason to choose a reputable moving company is that, in the event that an item is damaged during the move, the company is insured. This protects you and gives you much-needed peace of mind. As excited as you might be to move into your new office space, business moving can be frustrating if you experience service delays. That's why it's important that you choose an office moving team that will arrive on time and work efficiently so you can get your business back up and running with as little disruption as possible. You wouldn't put on a business conference without preparing for months in advance. So too, you shouldn't start preparing for your office move two weeks before you have to be out of the office and into your new space. If you can plan ahead, try to give yourself at least eight weeks (although 12 is even more ideal!) You need time to hire a mover, decide whether you want to keep your systems furniture, organize a packing schedule, clear out the clutter, and more. Don't Have "Too Many Cooks in the Kitchen"
Office moves can feel overwhelming. If you're a business owner with multiple departments, you might feel like you're running a circus where the juggling act has spun out of control. The key to allowing professional business movers to do their job effectively is making sure that your team members are clear on what their roles and responsibilities are leading up to and during the move. When it comes to packing, all employees should be responsible for their personal packing before the move. Provide your staff with tips on how to pack and unpack their supplies safely and securely. On moving day, all preliminary packing should be complete. Equally important to note is that only personnel involved with the move should be at the office. This way, your office movers have the space to move your boxes and furniture safely and on schedule. All Jersey Moving and Storage is a top-rated New Jersey moving company that can help make sure your office move is smooth and bump-free. Contact us.